I am a HUGE fan of mixing and matching. Jackie and I have been doing this trend for awhile now, and it's honestly so much fun. It is amazing to see all the different combinations that one can create. It makes an outfit interesting and different. Recently, stripes have been my "go-to" print. 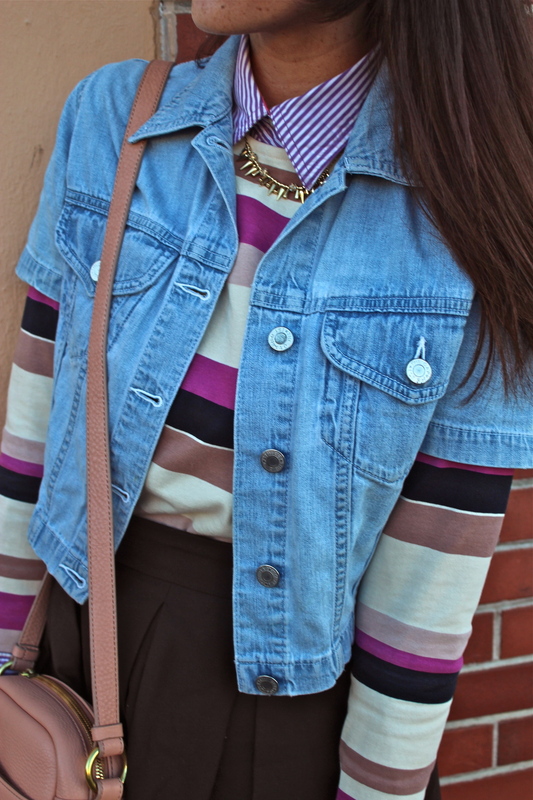 I love the way stripes on stripes looks--it's best to pair a thinner stripe with a wider one, and vice versa. I also really love colors and try to incorporate them into every outfit. These magenta tights are a fun staple that I have. They really brighten any outfit, and in this case, pull all my berry hues together.